1. A child with chronic kidney disease will likely require several transplants throughout his or her lifetime. Children can experience kidney problems–and kidney failure–for different reasons. Progressive kidney failure affects a child’s ability to lead a healthy, normal life. It is at this stage that a transplant may be needed. Lifelong dialysis is not an option for children. Return of the original disease in the graft after transplantation. When this happens, the recipient needs another (live) kidney transplant or has to remain on dialysis until another, suitable donor kidney becomes available. 2. Medical, financial or personal reasons may mean parents are not able to donate a kidney to their children. While parents and other close family members are generally preferred over deceased donors, family members are assessed first as potential (live) donors. Unfortunately, there are many reasons why they aren’t always suitable or compatible matches. 1. The first reason is that they may not be a medically compatible match meaning that they have an incompatible blood group, that the recipient has antibodies (proteins produced by the body's immune system) that would attack the donor organ, or that the donor candidate has an underlying health condition that prohibits them from donating an organ. 2. The second reason is financial. 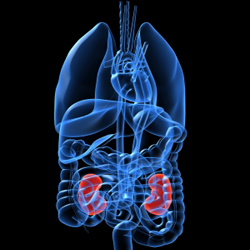 The surgery performed to remove a live donor kidney is not trivial and means that the donor may have to recover at home for a few weeks after surgery. This can impose a financial burden on some families if the potential donor is the sole income earner. 3. A third reason parents may not donate a kidney to their child is personal. The decision to donate is not easy to make. Each person has a unique set of circumstances that will affect his or her decision when approached with this question. 3. Every year, approximately 250 kidney transplants are performed in Quebec thanks to living and deceased donors. This number should be much higher. Many patients in Quebec and Canada need an organ, but not enough Quebecers and Canadians have made plans to donate. In fact, our organ donation rates are lower than those of many other countries, including the United States. We can do better! Anyone is a potential donor. Age is less important than the health of your organs and tissues. To find out more about how to become an organ donor, visit Transplant Québec’s website. 4. In Quebec, children in need of kidney transplants are given priority on organ donation waiting lists until the age of 18 years. However, once patients turn 18, they can wait years for a potential donor. It is therefore important to not just think about registering but actually doing it if you decide to become an organ and tissue donor. It’s also important to talk to your family about your wishes so they understand and accept your decision. 5. Transplant recipients can go on to enjoy an improved quality of life and take part in regular activities once they receive a kidney donation. Donating an organ gives a patient with kidney disease a new lease on life. Barring rare complications, the kidney donor will resume a completely normal life after donating a kidney, as one healthy (remaining) kidney is sufficient to meet the demands of the organism.